When: Sunday, August 23, 2015 at 8 a.m. 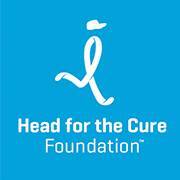 The Head for the Cure Foundation mission is to raise awareness and funding to inspire hope for the community of brain cancer patients, their families, friends, caregivers and other supporters, while celebrating their courage, spirit and energy. Fun facts: my uncle Kris used to coach track at a high school in Lee's Summit for many years!